Matthew Frye Jacobson is a professor at Yale, which would be excuse enough to keep on writing books for other scholars. Instead of staying in that comfort zone, he has created a website dedicated to enriching public discussion by gathering images and interviews that reflect history in the making. You can look, listen, and otherwise get inside the project here. And don’t forget to check out the “Participate” link. 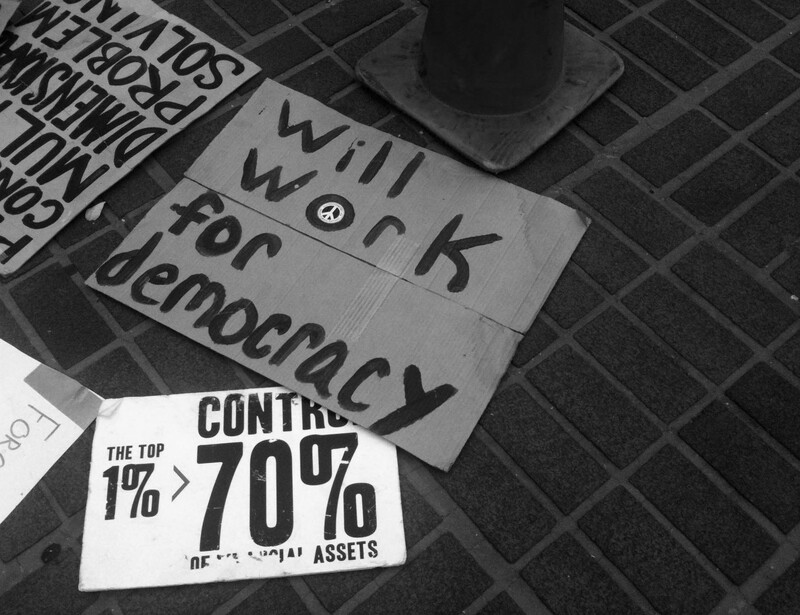 Photograph from Occupy Baltimore, October 22, 2011.